The NewGenerationSkills Project Partners met on 27-29 June 2017 in Liberec, Czech Republic to work on the main goal of the Project, which is the support of young people from selected regions of Central and Eastern Europe who would like to start their own successful businesses. Young generations have the potential to be pro-active engines of innovation and become change-makers in their local communities. However, 62% of young people in Central and Eastern Europe are not interested in starting their own business, whereas one in five would like to, but consider it too difficult. The NewGenerationSkills Project (Interreg Danube Transnational Programme) would like to change these illicit numbers. Twelve Project Partners from Hungary, Slovenia, Austria, Romania, Bulgaria, Serbia and the Czech Republic have focused mainly on developing skills and competences of young generation. They have paid an attention to the creation of an enabling environment, which would encourage young people between 15-29 to develop their innovative ideas into specific successful projects, both in the private and public sectors. The second official meeting organized by the Czech Partner of the Project, DEX Innovation Centre, in Hotel Imperial, Liberec, was held in the same way. Project Partners discussed the current situation in a field of regional youth entrepreneurship support and also informed each other about examples of locally implemented Good Practices. The most relevant practices could be eventually transferred to other participating regions in the Framework of the NewGenerationSkills Project. 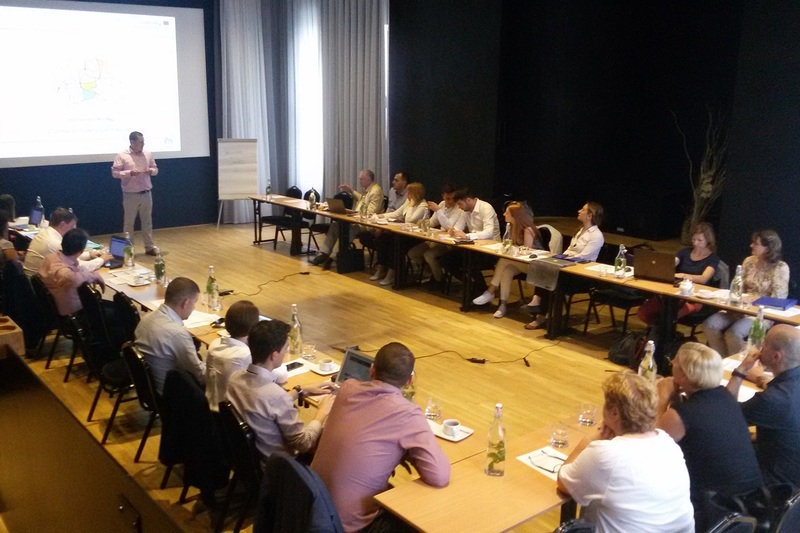 „This is the first time we had a meeting of this scale here in Liberec“ said Jan Forman, DEX IC Project Manager. „We have organized similar events only in Prague before. However, a great feedback from the partners only proved that our choice was right. This is one of the main reasons why we would like to continue in this regional trend, whenever it will be possible in the future,“ Forman added. DEX Innovation Centre will be responsible for the Project Implementation within the Liberec Region. The main attention will be paid to the Innovative Laboratory Project, where young entrepreneurs will be trained and prepared for the new life opportunities.